Not every hunt needs to be facilitated… in fact, lots of team building happens simply by getting people together for a fun, recreational activity. 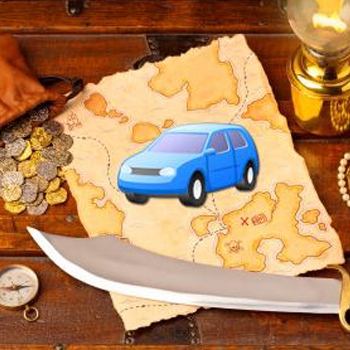 In the “Drive Around Town” version of our popular “Build-A-Treasure-Hunt” kit, we do things a little bit differently. The good news is, you don’t need to do any scouting here! Instead, you’ll receive 10 fun, tricky clues leading to generic locations that could be found in any city. For example, a solved clue might direct you to “a coffee shop”, “a bowling alley”, “a gas station”, etc. It’s up to your team to locate a site that meets the requirement. At each location, you’ll then take a specified photograph to finish the clue and receive credit. Creativity is highly rewarded! 10 pre-made, full-color puzzles that will get you driving all around town!